See more objects with the tag display, dining, scrolls, decorative, shells, sea, striated. This is a Sauce boat. 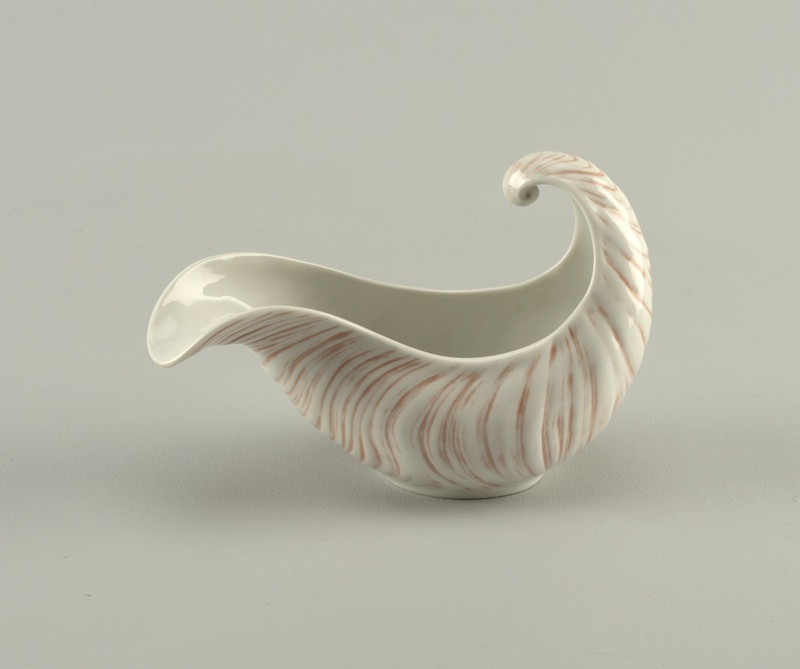 It was designed by Arje Griegst and manufactured by Royal Copenhagen Porcelain Manufactory. It is dated 1973–76 and we acquired it in 1982. Its medium is glazed porcelain. It is a part of the Product Design and Decorative Arts department. 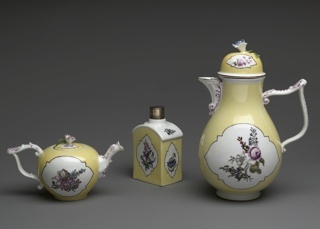 This object was donated by Royal Copenhagen Porcelain Manufactory. It is credited Gift of Royal Copenhagen Porcelain Co..
On underside of base: "Royal Copenhagen/crown insignia/Denmark/AG/14192" in green; "Rep mark (three lines)/CD" in blue.